Gasthof Menthof Featuring free WiFi and a sun terrace, Gasthof Menthof offers pet-friendly accommodation in Seefeld in Tirol. 8 km from Gasthof Menthof, while Toni-Seelos-Olympiaschanze is 2 The nearest airport is Kranebitten Airport, 17 km from Gasthof Menthof..
Ferienwohnung Moralé price per day from € 57 . 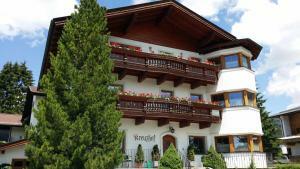 Apartment Lucilla price per day from € 50 Apartment Lucilla is an attic apartment located 300 metres from Seefeld’s centre. Free WiFi is at guests’ disposal and the accommodation unit features a balcony with mountain views. The Lucilla Apartment comes with a kitchen and a bathroom with a bathtub. 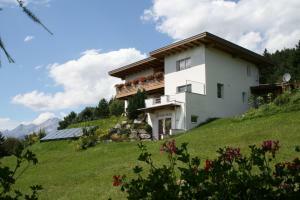 Appartementhaus Solstein price per day from € 93 . Ferienhaus Erika Featuring a terrace, Ferienhaus Erika is a holiday home set in Seefeld in Tirol, 200 metres from Casino Seefeld. Other facilities at Ferienhaus Erika include a sun terrace. 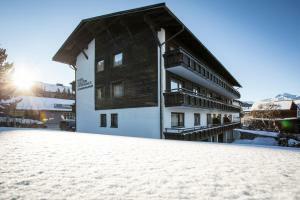 Alt Mösern price per day from € 61 Surrounded by mountains and forests Alt Mösern is situated in the centre of Mösern, 3 km from the Seefeld Ski Resort. 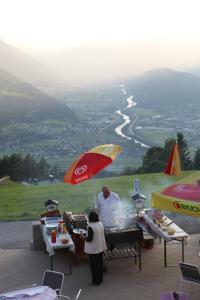 It features a restaurant with a large sun terrace offering panoramic mountain views, and traditional cuisine. You can start your day with a breakfast at Alt Mösern..
Haus Sonja price per day from € 50 Haus Sonja offers Alpine-style apartments with a terrace providing breath-taking mountain views, just a 10-minute walk from Seefeld town centre. A garden with a sun terrace surrounds the house and the closest lift of the ski area Gschwandkopf is only 500 metres away. Each kitchenette is fitted with a coffee machine and a dining area..
Appartementhaus Anka price per day from € 55 Set in a quiet location Appartementhaus Anka is a 5-minute walk from the centre of Seefeld. The fully equipped kitchen also includes a dining area. You can have freshly baked bread rolls delivered to your apartment on request. Haus Lundsör Set 250 metres from Seefeld’s centre, Haus Lundsör is a row house with amenities like a flat-screen satellite TV. 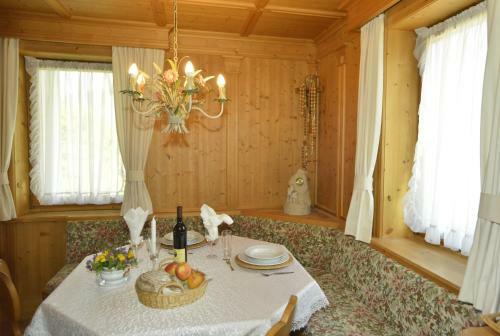 Haus Alpengruss price per day from € 38 Surrounded by a well-groomed garden and set directly in the centre of Seefeld, a 15-minute walk from Lake Wildsee, Haus Alpengruss offers Tyrolean-style accommodation units with a flat-screen cable TV. Breakfast is available on request, and from Monday to Friday (bank holidays excluded), guests of the Haus Alpengruss enjoy a 35% discount in the public outdoor swimming pool of Seefeld..
8. Take exit 87-Zirl-Ost for E533177 toward seefeld/Kematen/Deutschland/Garmisch. 10. Turn left onto Reitherspitzstr. Go through 1 roundabout. 11. Turn right onto Bahnhofpl. 12. Turn left onto Andreas-Hofer-Straße. Destination will be on the right. Ski resort Achenkirch, downhill pistes: 25km. 45 km from town of Seefeld In Tirol. Ski resort Alpbach, altitude: 1000m. 58 km from town of Seefeld In Tirol. Ski resort Alpenarena Hochhäderich, number of cross country pistes: 67km. 94 km from town of Seefeld In Tirol.